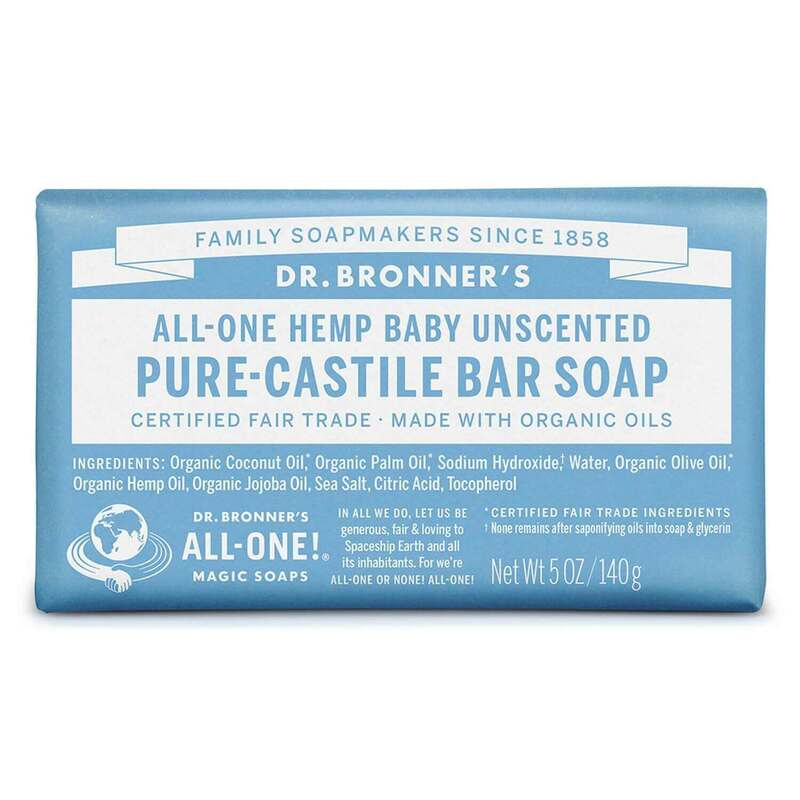 Dr Bronner's Pure-Castile Bar Soap -Baby Unscented has no added fragrance and double the olive oil This Baby Unscented Pure-Castile Bar Soap is good for sensitive skin – babies too (though not tear-free!). 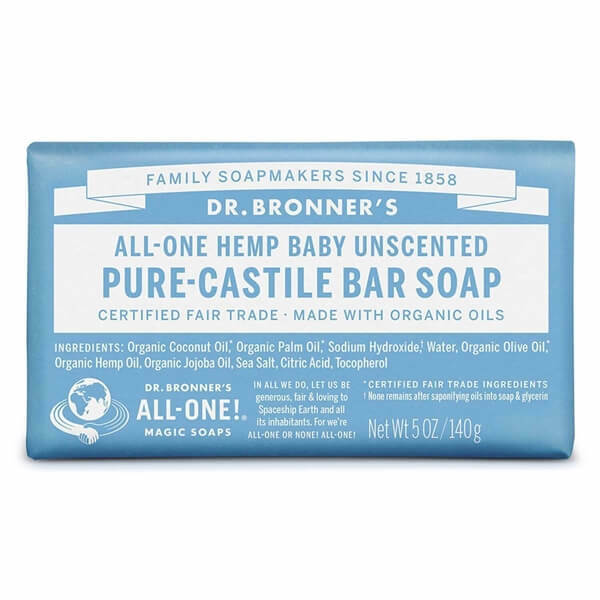 Dr. Bronner’s Bar Soap is made with certified fair trade ingredients and organic hemp oil for a soft, smooth lather that won’t dry your skin. 100% biodegradable in a 100% post-consumer recycled wrapper. Containing natural ingredients like Coconut and Olive Oil, these gentle and versatile soaps are vegan and good for washing body, face or hair!